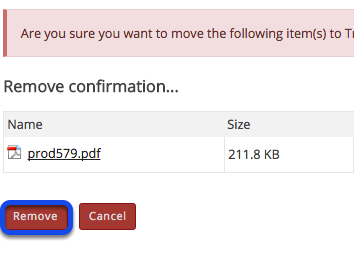 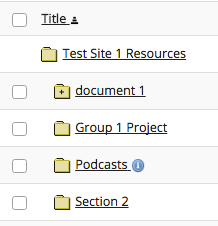 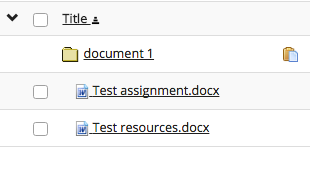 Instructor User Guide ResourcesHow do I remove a file or folder in Resources? 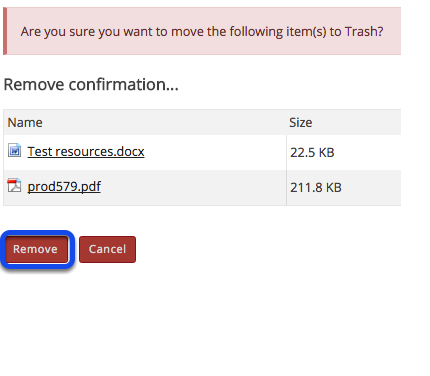 Method 1: Select the item(s), then click Move to Trash. 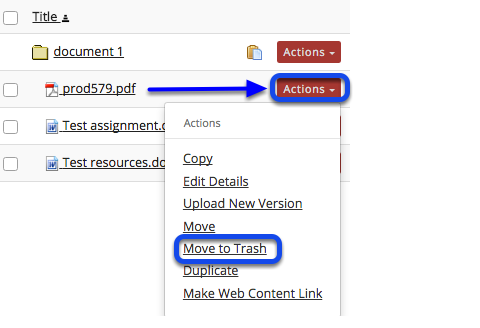 Method 2: Click Actions, then Remove. 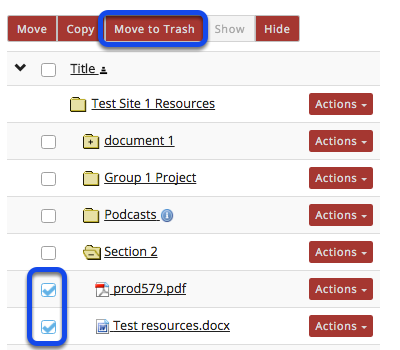 To the right of the file or folder you want to remove, from the Actions drop-down menu, select Move to Trash.